Organic brand direction highlighting the beauty of mountain living. 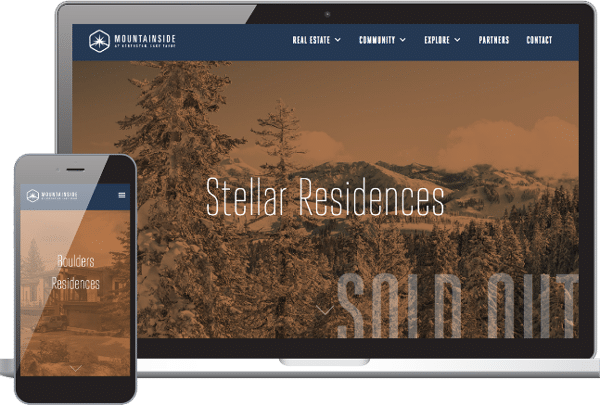 It’s one thing to speak in terms of square feet and how many bedrooms and bathrooms a place has, it’s another to create a dynamic website designed to stir tales of adventures, magical moments and family memories to be made. Our digital marketing agency was up to the challenge. Life happens here. A lot. This outdoor, family-focused community in North Lake Tahoe is where residents enjoy the outdoors. 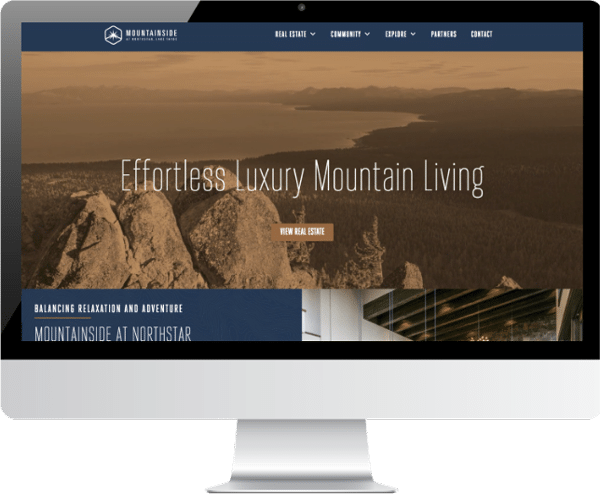 But Mountainside at Northstar felt their current website didn’t properly reveal the beauty of the multi-million dollar properties they were selling. They initially requested a few changes but after digging deeper, did a complete redesign of the homepage, and combed through the rest of the website, uncovering plenty of opportunities on their behalf, including a new design style and enhanced consumer interfacing, We ended up with a website that is more visually appealing, easier to navigate, and — most importantly — is a proper representation of their brand.